Happy almost-Friday! I hope you've all had a wonderful week. This week, I had the opportunity to catch up with a dear old friend, whom I haven't seen for some time. It's delightful that our visits always feel like no time has passed at all. I think it's one of life's greatest blessings, knowing that despite the distance or time passed, we are never far from a friend's heart. To start this card, I used a dotted, soft pink paper, layered on some white cardstock, with a wee bit of floral paper at the bottom. Just atop that, I added this darling journalling card, cut from a beautiful older paper, which I just cannot seem to find online (if anyone knows the name, please feel free to add a link in the comments). I wanted to keep this card sweet and simple, so I used only minimal embellishments, and decided to decorate with patterned paper. My favorite way to play with patterns is to mix and match what I call the 'focal weight' of papers, while keeping things in the same color family. 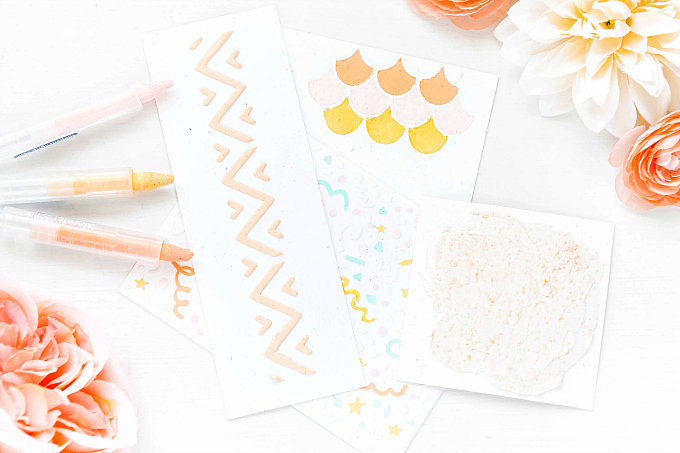 I prefer to use a delicately patterned paper, such as the soft polka dots, along with slightly more intricate or bold pattern, such as the florals or plaid on this card. I like to throw in a good measure of white as well, to create a harmonious balance, and I generally keep the bolder papers to a minimum. If you find that you get stuck when mixing and matching patterns, I hope you'll give this 'recipe' a try! 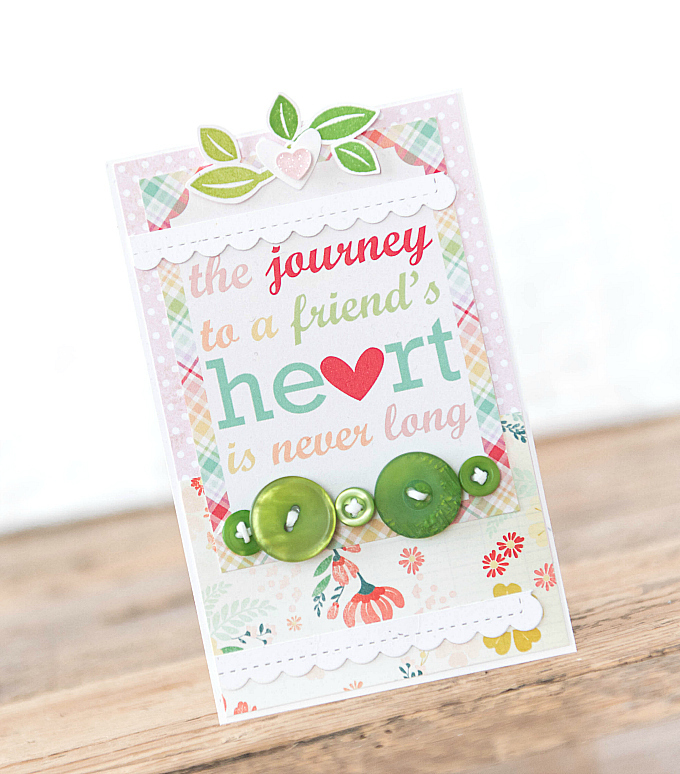 To finish the card, I added a few leaves, stamped and fussy cut, using Green Parakeet and New Leaf inks from PTI. 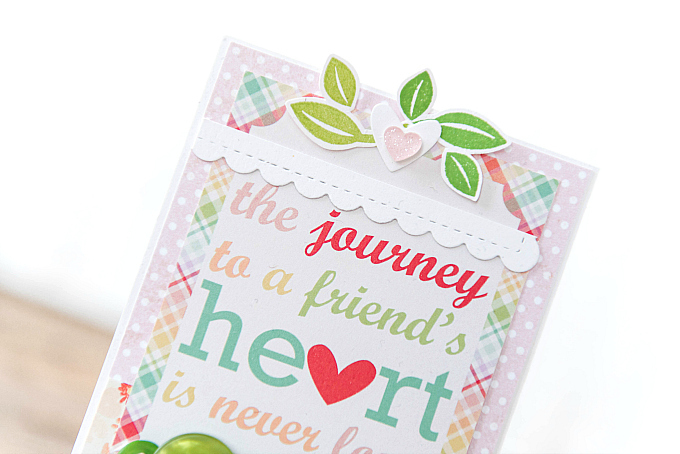 I added a small die-cut heart as well as a sparkly epoxy heart to finish the top of the card. The little scalloped border is a bitty edge cut off of PTI's Tag Sale: Quilted Tag die. 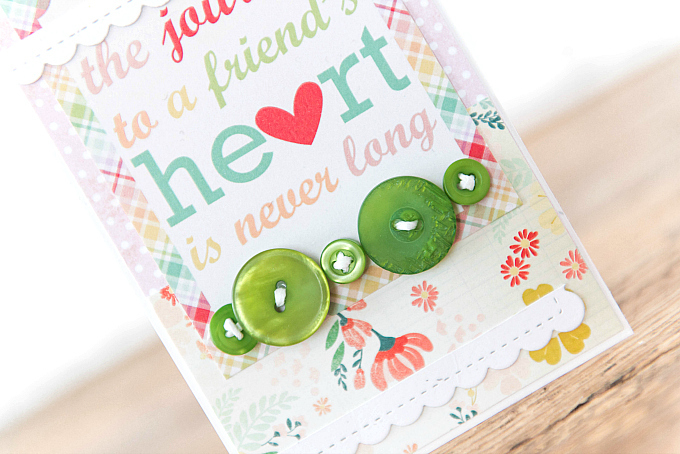 At the bottom, a few little buttons finish off this happy card. Thanks for joining me today and happy weekend! This is a dreamy little card Ivana! I like the row of fresh grassy green buttons! Thank you so much, Lisa! Big hugs! You do the best job when putting together all of the elements for a card! So very pretty! Love the hand stitched buttons! Aw thank you, Mona! Sending you crafty hugs!